Cyclone Idai and the storm’s resulting flood is beginning to subside in Mozambique, Malawi and Zimbabwe, but as flood waters recede, the devastation caused by the disaster is only now becoming evident. The current death toll of the cyclone is thought to have surpassed 700 in the three affected countries, but estimations are that it will soar into the thousands as searches continue. An update on the crisis from Doctors Without Borders (MSF) reveals that access to many of the affected areas is still limited, creating problems with distributing healthcare, food and water to those most badly in need. According to the report, healthcare infrastructures and thousands of homes were also destroyed by the storm, which is thought to have affected some 1.7 million people. As the dust clears, this is the latest update on the countries affected. 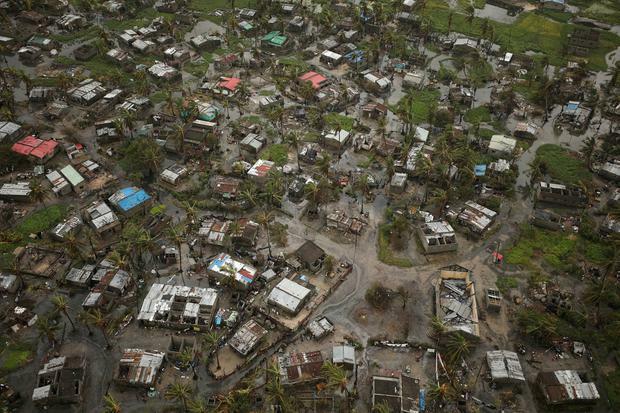 The number of dead in Mozambique, as a result of the cyclone, has risen and is currently thought to be at least 242, with more and more people being located every hour. The government of Mozambique have managed to transport a generator to Beira, where Cyclone Idai rampaged nine days ago. This comes after humanitarian agencies raised alerts over hygiene and safe drinking water with cases of cholera, typhoid and malaria reported in the city of 500,000 people and in surrounding areas. The generator, when installed, could allow city’s municipal water treatment plant to be run again, helping to prevent further proliferation of these waterborne diseases. Many roads are still cut off, restricting access for all emergency responders into the disaster zone. It also prevents those living in poorer areas of Beira to access the safe municipal water supply regardless of the generator. Much of the healthcare infrastructure was also damaged by the cyclone and Ministry of Health is facing a big challenge to get sufficient base-line essential health services running again. MSF is currently re-roofing two health centres in Beira, which will provide medical care for sufferers. In some of the only positive news to come out of the usually picturesque African paradise, as the downpour of rain becomes less torrential, several dams that had been planned to be opened to avoid dam collapse may not have to be opened. MSF has stepped up activities in all three countries. Moving from the assessment phase of the emergency response to initial medical assistance phase, they can now assist in providing medical attention in the areas affected. This does not extend to some areas they believe to be in “a really critical situation” outside of Beira where additional MSF teams will be arriving to see what the most urgent needs are and to launch response activities. Malwai, where the weather system that lead to Cyclone Idai originated, have been most greatly affected by flooding. The heavy rains that moved from Malawi offshore to form the cyclone have prevailed in the landlocked country, which borders Mozambique. Rains have dramatically subsided and access to affected areas is improving but many areas are still submerged and communication services are down. Many thousands remain in displacement camps and makeshift accommodation like schools and churches as thousands of houses lay collapsed. The area is expected to be hit with huge economic problems as an estimated 50pc of the area’s crops might have been lost. MSF have reported not witnessing any challenges with food availability but have admitted that access restrictions have left many areas still needing assessment. The worst affected area, Makhanga on the eastern bank of the Shire river district, remains inaccessible by road but electricity has finally returned. An MSF team of 18 people is supporting the Health Ministry to cover the needs of an estimated 18,000 people in Makhanga, with health, sanitation and non-food-item supplies. To date, there have been no reports of waterborne diseases but it remains a concern. The Chimanimani district in the Manicaland Province in Zimbabwe was where Cyclone Idai last hit with intensity before blowing itself out. At least 259 people in Zimbabwe are thought to have died as a result of the cyclone with latest official figures revealing hundreds more injured and up to 5000 displaced. The Chimanimani district remains one of the least accessible with many roads completely wiped away for several kilometres. Destruction in the region is on a huge scale and a lack of safe drinking water remains an issue, with many water pipes having been blown away. MSF team finally made access into the district on Thursday despite the heavy rock fall blocking roads and bridges having been completely washed away. Many in the area have lost their homes and livelihoods as entre sections of towns were destroyed. The US government also announced its military would join the effort while Britain has flown in tents and rescue kits as well as pledging £12m (€14m) for the humanitarian mission being mounted to feed and house hundreds of thousands who are homeless.